Aha! 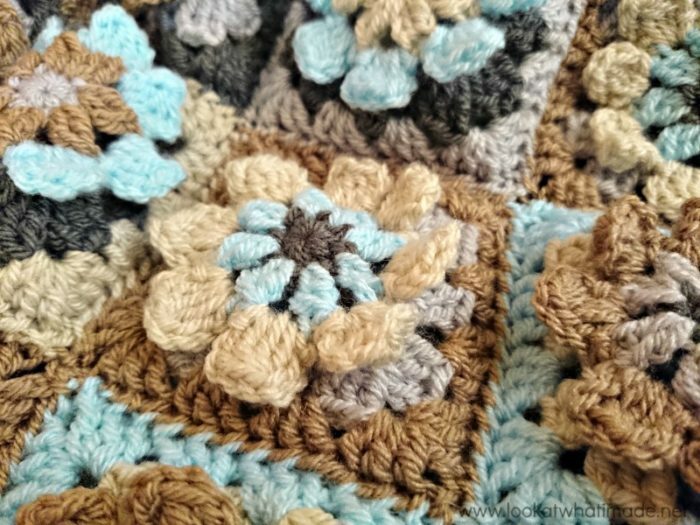 I lure you in with a photo of a pretty crochet afghan so that I can moan at you about my website and the fact that I am going grey! Let’s get the moaning out of the way first so that we can focus on the blanket. I would like to say thank you for each and every one of you who took the time to message, email, comment, etc. to wish me a happy birthday. I can honestly say that I have never (EVER) had so many birthday wishes and I have never felt more special. You have made the legion grey hairs that appeared over the last 2 weeks seem like a minor thing. Thank you! You’ve probably noticed that my website looks slightly different. Websites are funny things. They require coding. A lot of coding. I cannot code. For the last 2 weeks I have been having a lot of trouble doing anything on my website. Replying to a comment took me about 10 minutes. Trying to publish a post? Forget about it!! To cut a long story short, some of the coding on my website had a falling out with some of the other coding and as an inconvenient consequence, everything broke. So I have changed to a new layout and hopefully this new layout’s coding will play nice and I can finally spend an evening crocheting again! At the moment I am in two minds about the new “look”. It feels very generic and foreign to me, but I do like the crisp clean look. If you have any suggestions, feel free to spam me with comments. 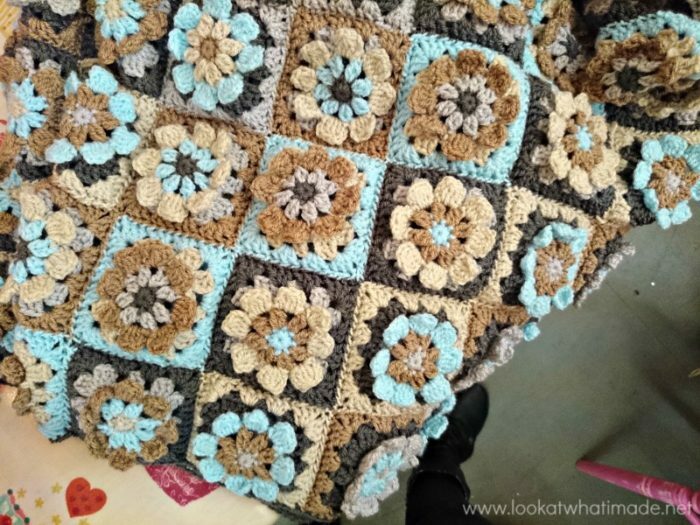 When we were at Fabric Warehouse​ last month, I saw one of the ladies (Lynne Rickard) working on this beautiful afghan. I asked her if I could take some photos (and some notes) and she kindly said yes. This is her rendition of the Colour Pop blanket by Nicki Trench (also called Buggy Blanket). I love Lynne’s muted colour-way, probably because Sherbet is one of my favourite colours! 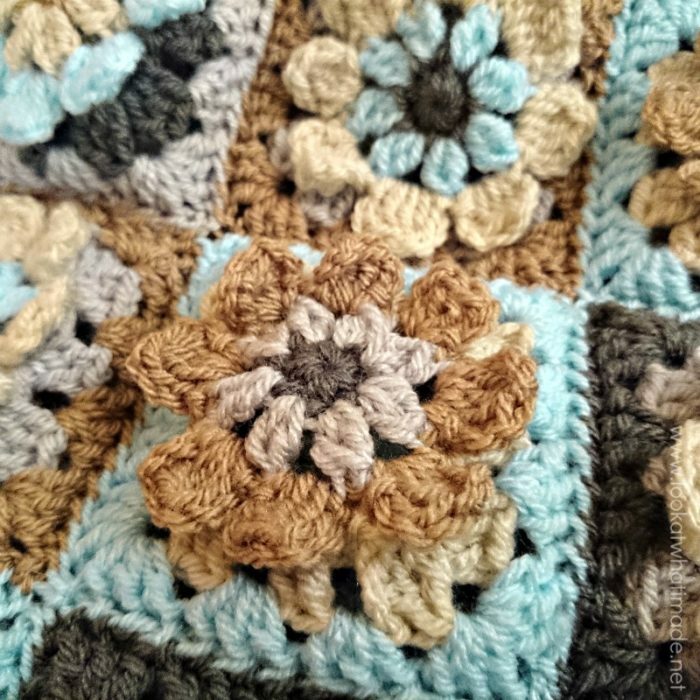 The pattern is from a book called ‘Cute and Easy Crochet with Flowers‘, which is available in both paperback and digital format, and can be found HERE on Amazon. I bought a digital copy and I am very pleased that I did. 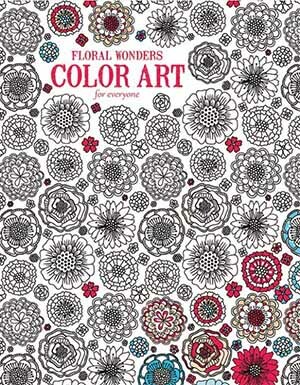 It contains some very cute patterns, quite a few of which are indeed quick and easy to make. Lynne used Stylecraft Special Dk in Graphite, Silver, Parchment, Mocha, and Sherbet (thank you Kay for reminding me of the exact colours). 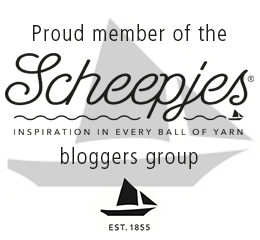 The yarn is available from Deramores HERE. Righto. I am off to tinker with the coding a little bit more, and then, if I am lucky, I can get two stitches of crochet in before bed time. Or maybe not. Mr. Lookatwhatimade is watching Black Adder and I keep running over to watch it instead of just listening to it, which does not bode well for either code or crochet! Remember to subscribe to my newsletter if you would like to be kept in the loop. And remember to tell me if you have any suggestions! Ps. I just tried to publish this post and it took me 20 minutes, so the website is still broken :( I think that deserves an extra sad face. Happy belated birthday, dear Dedri. Fingers crossed everything will be fixed soon. Thanks for your wonderful posts and your newsletter. I have followed your site for almost a year and have enjoyed and learned so much! To be honest, I don’t understand anything I know about ‘overalay crochet’ but would love to learn more and fine more information on line. I’ve kept all your creations for the time I can make one also! BTW….HAPPY BIRTHDAY! I’ve only got about 44 years on you! I love the new web site and only have trouble with the print friendly…….doesn’t print anything but the title and Happy Hooking! Dedri! Keep up the great creations! Hi Carolyn. I have no idea why the Print Friendly is acting up for you. I am able to print from various devices. Have you tried clearing your browser cache? I really like what you did with the website. It’s lovely! And love the blanket! Hallo Dedri, hope you’ve had a Nice birthday als I did on the 21fst of june !!! Since About a half year i follow your site and love it with ALL the examples and the happiness you bring with your stories that you share with everybody !! Happy Birthday, Lia. Thank you for your lovely comment.